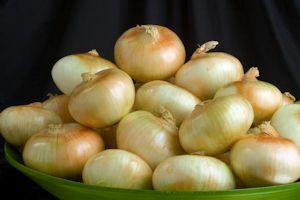 With all the snow still hanging around I know it is hard to believe, but it is Vidalia Onion Sales fundraiser time. Oh my! 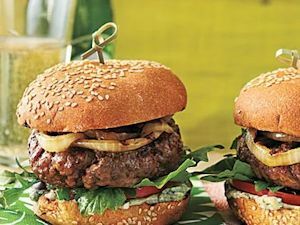 I can hardly wait for these sweet beauties to arrive. So here’s the scoop: still $25 for a 25 pound bag, order by 30 April for delivery around the second weekend in May. 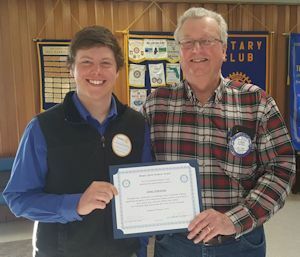 As usual the delivery date is somewhat fluid since it depends upon when the farmers can harvest in Vidalia, Georgia. 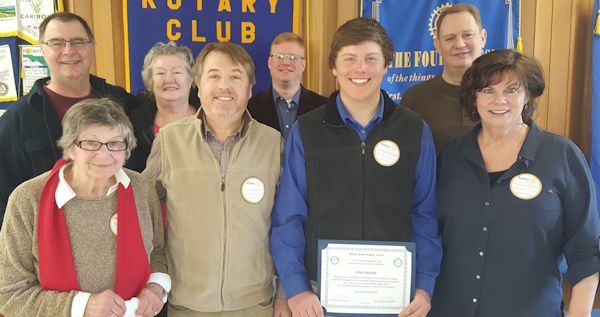 If you ordered in the past you should be hearing from a friendly Fort Fairfield Rotary Club Rotarian but if you don’t please give Dianna, (207) 540-8818, or Carl, (207) 551-1495, a call. Also, please don’t forget that not only will you be enjoying these beauties you will also be supporting a wide variety of community and regional needs. 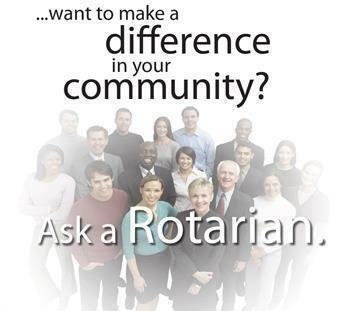 We are all volunteer Rotarians so proceeds go towards helping others. Order now, ENJOY, and a big in-advance THANK YOU! 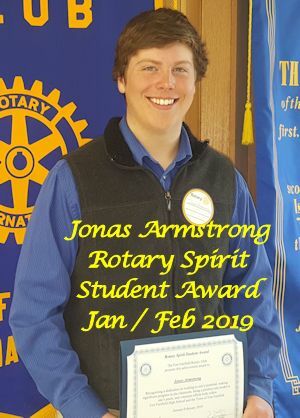 Fort Fairfield Middle High School (FFMHS) students Brenna Levasseur and Jonas Armstrong, Rotary Spirit Student Award (RSSA) recipients for school year-quarter January/February 2019, were recently honored at a club breakfast. 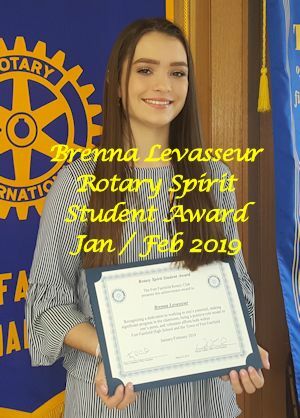 Brenna, nominated by Kelly Koziol, and Jonas, nominated by James Smith and Jacquie Martin were recognized for their achievements in academics, citizenship, and personnel development. 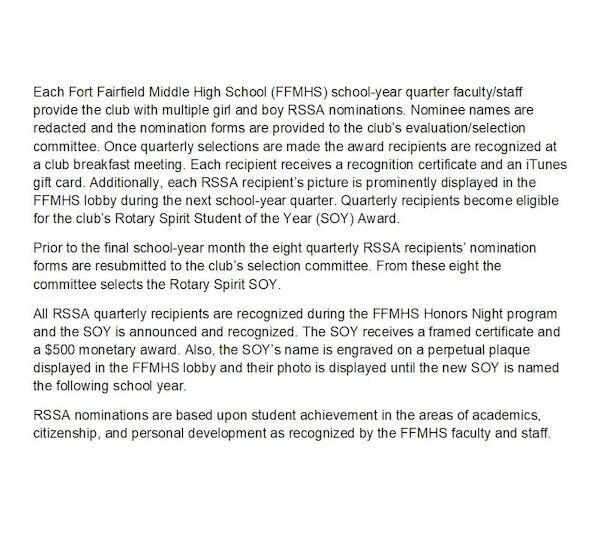 Each recipient received a recognition certificate and an iTunes gift card, will have their photo displayed at FFMHS, and is now eligible for RSSA Student of the Year selection and recognition during Honors Night at school-year’s end. 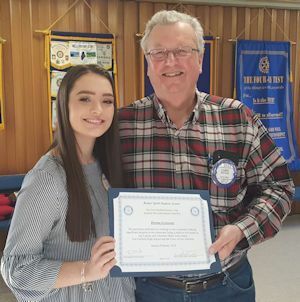 Brenna and Jonas receive their RSSA certificates from Rotarian Larry Plant. 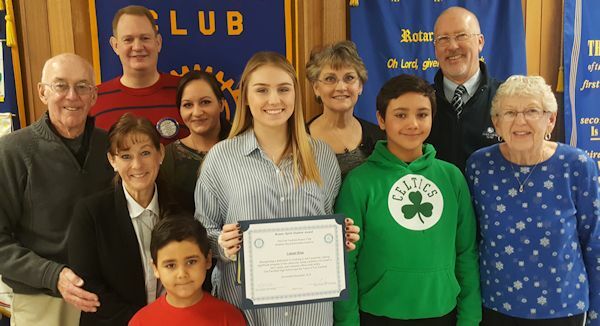 Tracy Copeland, President, explains the Rotary Spirit Student Award (RSSA) program to the audience. 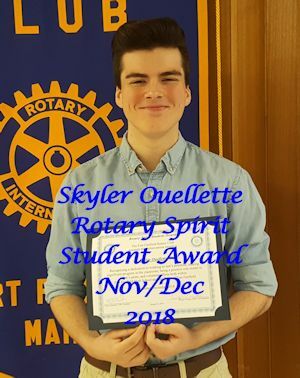 Cammi King and Skyler Ouellette were honored at a January club meeting as the club’s Nov/Dec 2018 Rotary Spirit Student Award recipients. 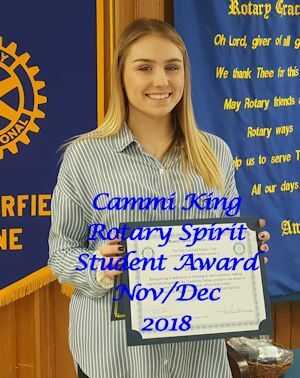 Cammi and Skyler were nominated by Fort Fairfield Middle High School faculty members Kelly Koziol and Garrett Martin respectively and are now eligible to be selected as the Rotary Spirit Student of the Year for school-year 2018-2019.